Yup I got one of those too! Great for brewing the slightly larger batch of NEIPA with all the added hops and active fermentation there is a good amount of head space left. I love mine as well. Put a six gallon batch of Hefeweizen in it yesterday. Brew day went well. Did my first decoction as well. 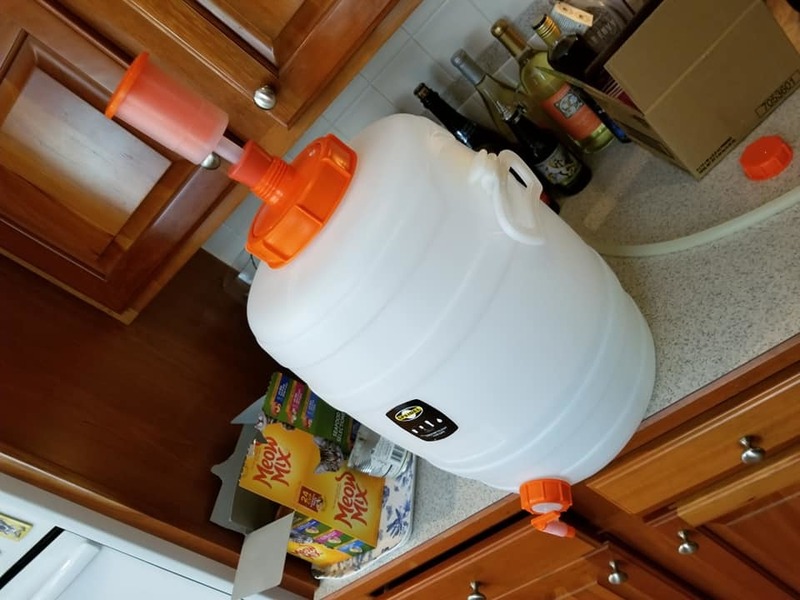 Just purchased a 20L and 30L Speidel fermentor. Yeah. Much easier to clean. Did order a second 30 liter. 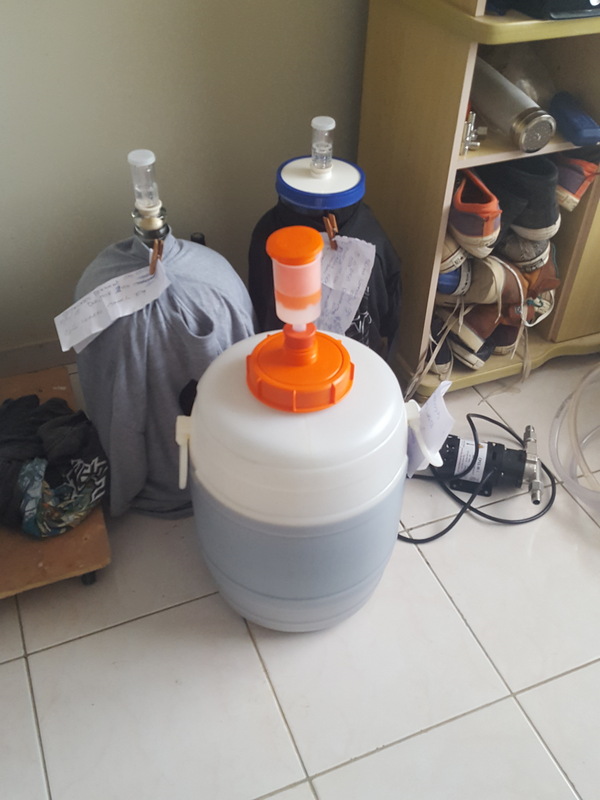 Fermentor. Love the large airlock. Till now no need for a blow over hose. 20L leaked no matter how tight the connection was. and the clean up took 5 minutes. Topped off my big mouth 5 gallon carboy with CO2 before closing the lid slightly. Used SS Can for the 2nd dry hop addition. The 30L Speidel has exactly 1/2 gallon area for the trub. Pretty sure my NEIPA is going to be awesome from what I have been sampling as the process continues. Also got my replacement 20L Speidel under RMA from AIH. 20L is just as Awesome as the 30L now. Issue was due to bad lower port threads. I have a DIPA in the 20L waiting for my 3 Gallon keg. Brewed 13 gallons over Thanksgiving Week. Some people fairly complain that they can not see the fermentation in a Speidel. You don't need to. The Air Lock raises up significantly and you can observe the gas escaping. When fermentation is complete, the air lock is in its normal lower position. Do like the big airlock. On the speidel. Indeed been reading. That some. Dont like they can not. See the fermenting action. But do like the airlock. You would think the novelty of whatching beer ferment would where off. Can you drain the yeast off the bottom or is the valve to high. The spigot is above the level of the yeast and trub. So I would say no to that. Once you have moved off the wort, you can take out the spigot and pour the yeast out the port though. You can always Tilt the vessel to get extra beer out. Not sure how well Trub will travel thought the valve. Or, you could just remove the Valve and pour it out. I agree it is another version of a bucket but it has more head room and I really love using it. I have marked the 5g and 6g levels on the back (they could add this as a feature). If the 1/2 gallon area for trub is not enough and you end up with a stuck drain. Just use a little CO2 from the top mount to help it along when draining to 2nd. Markings would be nice. I went through the process of putting gallon markings on mine wth marker.